To my first time readers, this is part 3 of a series of post about my Andela Bootcamp Experience. For detail information, please see part 1 and part 2. Prior to Andela Bootcamp, I can build frontend apps and was also upscaling my skill in backend development. Specifically, I was working on a full stack app for Election Compliant Reporting. But an area that looks weird to me is Test Driven Development (TDD). 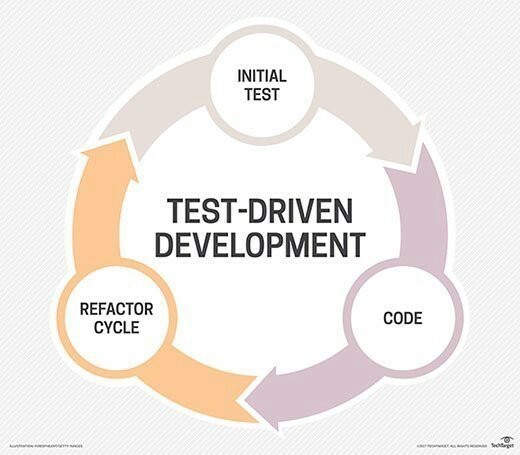 According to Wikipedia, Test-driven development (TDD) is a software development process that relies on the repetition of a very short development cycle: requirements are turned into very specific test cases, then the software is improved to pass the new tests, only. This is opposed to software development that allows software to be added that is not proven to meet requirements. Though I have learning resources on TDD, I considered it, as a job of a software quality assurance engineer hence I did not give it attention and have never utilized it in any of my projects. On applying to Andela Fellowship, I discovered that TDD was included in the curriculum of the home study materials. Then it dawns on me that I must have to learn it. I immediately reach-out for my video tutorials and combine same with Andela recommended articles. I employed an immersive learning approach, and finally understood the concept of RED-GREEN-REFACTOR for the first time. Now I can proficiently use mocha (a testing framework), and chai (an assertion library) to carry out unit testing of my projects. My experience shows that a good learning resource is crucial to understanding difficult concepts. Watch out for more tomorrow. Thank you.